From the early 20th century to today, the ODA and its member dentists have been committed to providing oral health-care education to the public and pushing for greater ease of access to dental care for everyone. The future of dentistry will require continued advocacy for prevention and education and establishing a consensus on the standards of oral health-care across the province. 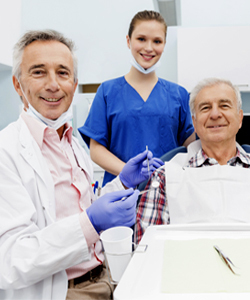 Providing more patients the care and preventative maintenance they need will be established through partnerships between dental and medical professions, public health units, dental faculties, government, and non-government community agencies. Building on this prevention strategy, consistent oral health education in schools will teach children how to care for their teeth throughout their lifetime.